I am so excited because I not only have quick and easy healthy snacks recipe for you today, but I also have a chance for you to win a KitchenAid Mixer of your very own. This way, when you want to make your Apple Zucchini Healthy Snacks, you’ll be able to use a brand new KitchenAid Mixer. Squeal! 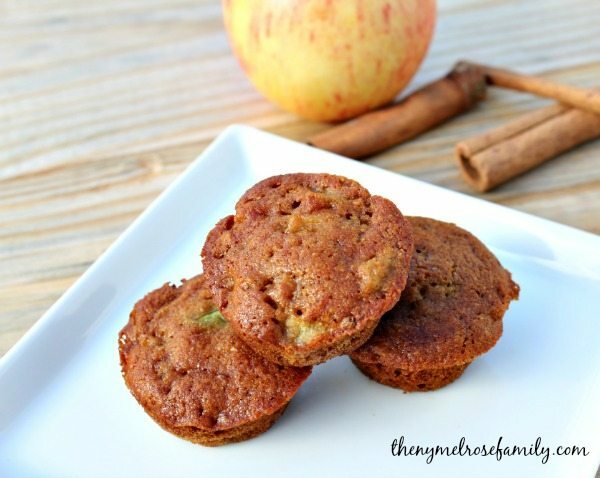 I’m so excited for you and these muffins are by far one of my favorite healthy snacks so it’s a double whammy! I know you’re probably thinking that those muffins just look way too delicious to be healthy. The secret is that there’s zucchini and apple in them so they’re the perfect way to sneak in some extra fruits and vegetables. 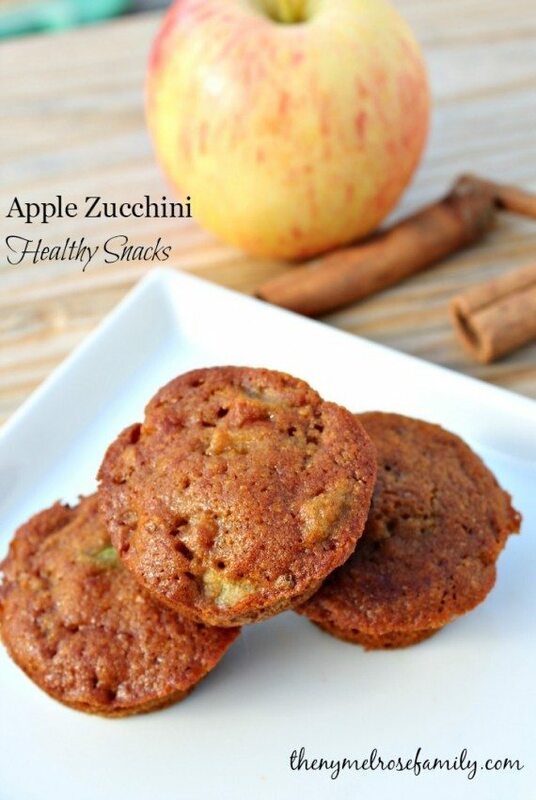 I love using my KitchenAid Mixer to make these because it does such a great job combining the dry ingredients with the zucchini and apples. You don’t have to worry about taking a bite and finding a huge portion of zucchini all in the same spot within these muffins. I didn’t think it was fair that I shared a recipe that was ideal for a mixer without giving you a chance to win one! You read that right! 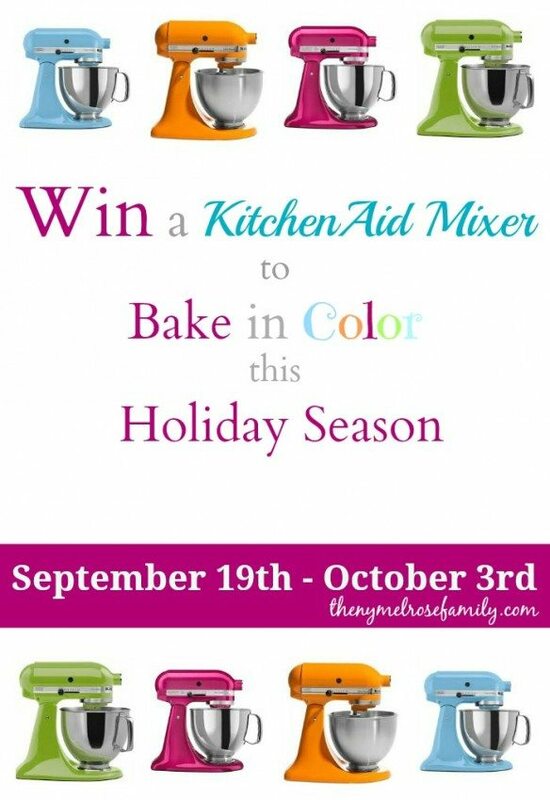 We want you to win a KitchenAid Mixer to Bake in Color this Holiday Season! Brought to you by these lovely ladies! Be sure to click on each person and it will take you straight to their site. You’ll love them! Did you go visit all the other ladies? They are amazing aren’t they and I bet you’re hungry too because their photos are Ah-mazing! I’ve learned that I either need one of these muffins in my hand when I visit their sites or I better wait until after I’ve eaten. Plus, I forgot to mention that these muffins are mini so to me that it makes them the perfect healthy snacks. One of my favorite things about the start of Fall is that the bounty of summer, zucchini, runs into apple picking season so I’m able to combine the two together. It’s a gold mine of a season for parents like myself trying to sneak in extra fruits and vegetables on their unknowing children. 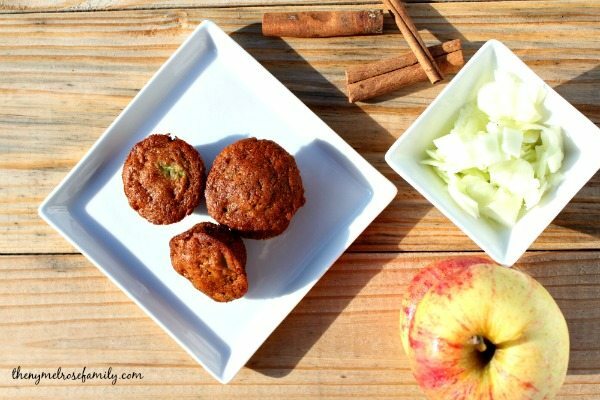 Our Apple Zucchini Mini Muffins make the perfect Healthy Snacks. Preheat oven to 350°F and coat a mini muffin pan with nonstick cooking spray. In a large mixing bowl, stir together the butter, honey, egg, and vanilla extract. Fill each cup in the mini muffin pan approximately 3/4 full. I made these snacks, they are wonderful! What is the nutritional info?